4. This is an interactive theme park , the shooting place of "Returns of Supermen"
6. Closed Notice : 22 April and 20 May will be closed. Enjoy 19th-century artists’ famous paintings at Dongdaemun Artistic theme park Latelier. The audio guide is offered to enjoy the paintings with more background information and details! 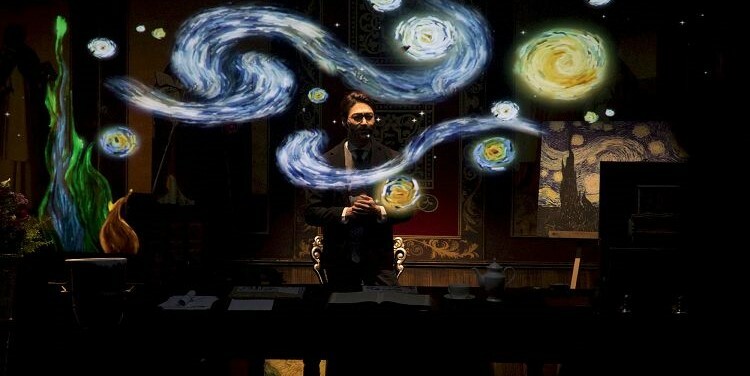 With the opening of the door of time, the space in the paintings of the 19th-century artists will turn into reality and you will become part of it. Fully enjoy masterpieces of 19th-century impressionists such as Vincent van Gogh, Claude Monet, etc at Latelier where the paintings become alive and wearing different colors with the special lights! The whole place is so beautiful, great to take pictures. L'atelier is a 430-pyong new concept theme park that maximizes visitors' experience by various artistic attraction, entertainment, and intelligence technology. 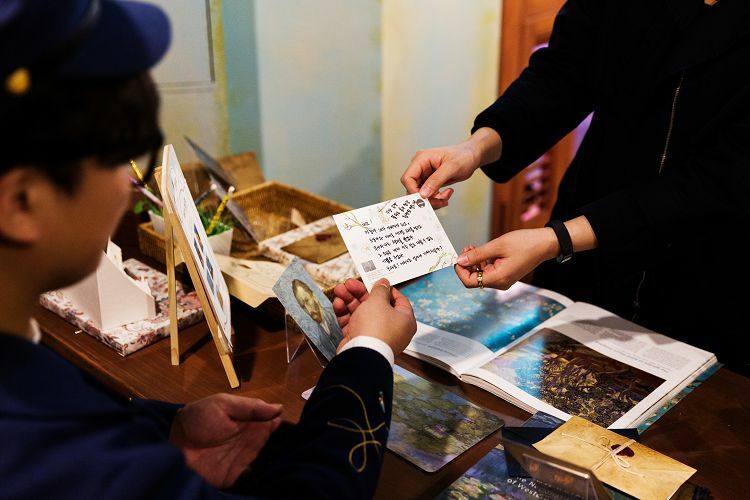 Art + Interactive theme park, L'atelier meets the audience through IT recreating the masterpieces into something special and unique contents for people to enjoy. The place is an experience theme park where the audiences can enjoy the works of Impressionists artists such as Vincent Van Gogh, Claude Monet, Maurice Utrillo, and Edouard Leon Cortes and travel into space of that time of year. L'atelier reproduced 19 century France in those masterpieces not only with dioramas but also with technologies into an actual place. Audiences can talk to the people in the paintings and become a part of masterpieces by interacting with the contents with five senses through media art shows, hologram talk shows, and musicals. 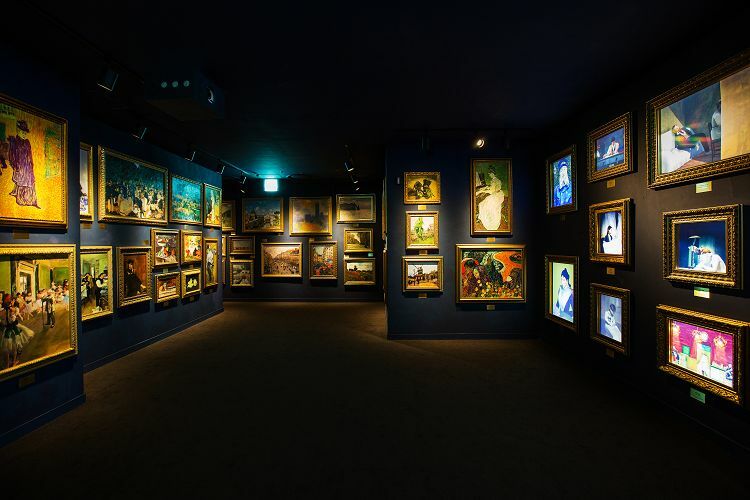 Enjoy 19th-century artists’ famous paintings at Dongdaemun Artistic theme park L'atelier. The audio guide is offered to enjoy the paintings with more background information and details! 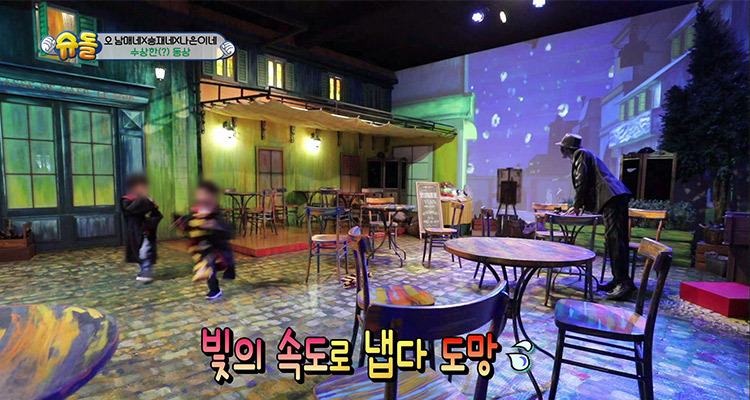 • The children from the popular variety program "Return of Supermen" liked this indoor experience center very much. • At the “Musee de l'Orangerie,” a series of Claude Monet's works, “The Water-Lily Pond,” is directed all over the floor and the wall. The colorful interactive shows such as the coloring of paint and the smell of grass and lotus near the pond will make visitors feel as if they are standing in the middle of the pond. • The mystery around the death of Vincent Van Gogh as related by Emile Zola, the major French writer of the 19th century who supported the young Impressionist painters. • The story about Vincent van Gogh who carrying an aspiration for ‘a painter community,’ came to Arles in southern France filled with splendid colors. • Paris – Place du Tertre: Paris overflowing with the scent of art - Place du Tertre on one autumn day in the 19th century, beautifully imbued with autumn leaf and overflowing with the scent of art. • Paris - Montmartre: Montmartre where poor artists mass for their artistic pursuits. Sacré-Coeur saw through the flurry of snowflakes. 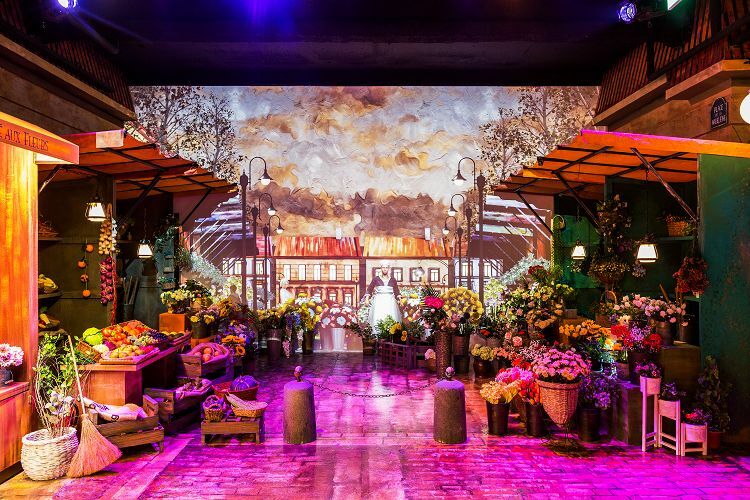 • Paris – Flower market at la Madeleine: A small flower market in downtown Paris in the 19th-century France, which is opened for those Parisians who love flowers. • Arles – Place Lamartine: Arles in southern France, a village that was most loved by Vincent van Gogh. • Place du Forum-: Arles in southern France, a village that was most loved by Vincent van Gogh. 1. Entry may be restricted during the busy time for safe viewing. 2. A child cannot enter without a guardian. 7. The storage locker is 1,000 KRW, and there as a machine for changing bills into coins. 8. Download Latelier Guide App and listen to the audio guides in different languages. Earphone rental is available for free for those who do not have one. 9. There are restrictions in admission when the maximum capacity is reached. Q. Is there any place in Latelier where I can buy beverages? A. Yes, there is a place in Latelier sells simple foods such as coffee, sliced cake, and hotdog. Q. Is there a nursing place in Latelier? A. There is no nursing place in Latelier, but there is one in the resting place on the 8th floor of Hyundai City Outlet. Q. Is it possible to bring my baby carriage / wheelchairs into Latelier? A. Baby carriage / wheelchairs are available, but it may be inconvenient to move around when the place is crowded. Q. Can I rent a baby carriage / wheelchairs? A. No, there is no rental service. Q. Is it possible to use a self-camera stick or tripod? A. For safety matters, a self-camera stick or tripod cannot be used inside the park. Q. Can I take a photo / video? A. Yes, but flash has to be turned off and taking photos / videos during performances is prohibited.